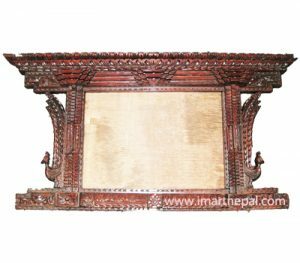 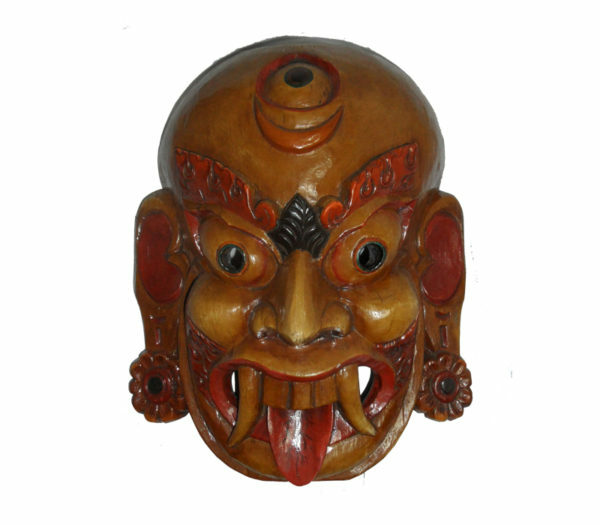 This is a wooden Newar mask portraying a supernatural entity – a lakhe or demon – measuring 15 inches long and weighing a kilo. 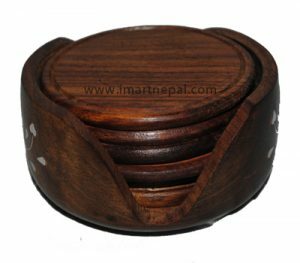 The forehead has an extra eye, which denotes the supernatural nature of the symbol. 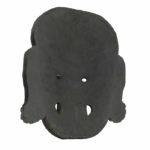 This third eye is underlined by a crescent moon. 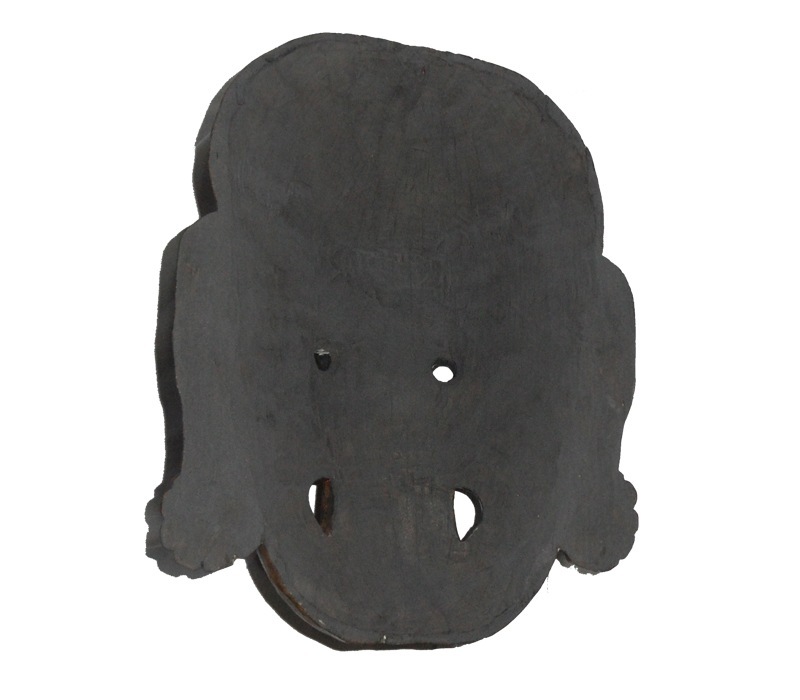 The ears are adorned by a single flower each, with the mouth opened to bare fangs and an outstretched tongue. 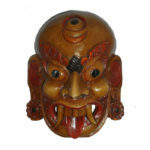 This type of mask is usually worn at festivals and is said to help keep evil spirits at bay. 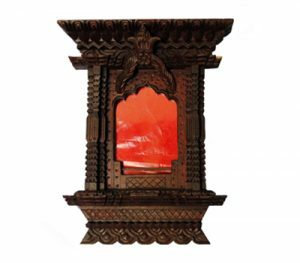 This kind is usually placed on hanging dolls or worn by men who are in elaborate costumes.